Clyde A. McCune, 88, of Saint Marys, died 9:40 P.M. Monday, January 28, 2019, at the Grande Lake Health Center, Saint Marys. He was born November 28, 1930, in Allentown, Ohio, the son of Edward and Margaret (Dobie) McCune. He married Mary Lou Wurster on June 7, 1969, and she survives. He is also survived by his children: Mike McCune of Chicago; Bob (Dodi) McCune of Saint Marys. He is survived by three grandchildren: Ross McCune; Seth McCune; Owen McCune; by his siblings: David McCune of Sidney; Marge Petty of Walton, Kentucky; Gary McCune of Wapakoneta; Beverly Breitigam of Lima; Phyllis Rauh of Norfork, Arkansas. He was preceded in death by his parents; by a son, Dave Wurster; by his siblings: Barbara Hall; Kenny McCune; Carl McCune; Harvey McCune. Clyde retired from Goodyear Tire and Rubber Company in Saint Marys. He loved tinkering, working on cars and volunteering his time to the Auglaize County Camp of the Gideons International, and also Truckers for Christ. He attended New Community Church, Saint Marys. 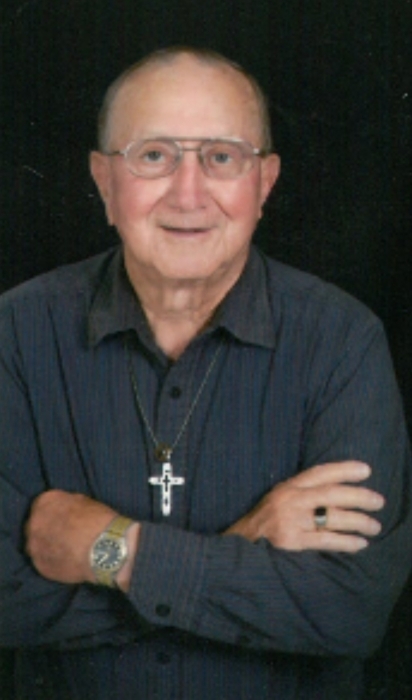 Funeral rites will be held 11:00 A.M. Monday, February 4, 2019, at the Miller Funeral Home, 1605 Celina Road, Saint Marys, Pastor Jim Keiser, officiant. Burial will follow at Resthaven Memory Gardens. Friends may call from 2-5 P.M. Sunday at the funeral home, where memorial gifts may be given to CALL Food Pantry, Celina.